Are you ready to RUMBLEEEEEEEEEEEEE? We sure hope you are! On March 29, 2014 we will be hosting our very first March Madness – quilting style. This will be an all day sewing event where we break into teams and have a healthy dose of competition to crank out some quilts for charity. 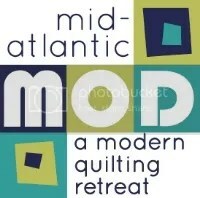 There will be a point system for finished quilt tops, finished quilts, size, etc. to encourage productivity. Additionally, there will be a level of pre-planning required – shall we call it training? – to ensure that each team is ready to hit the ground running during March Madness. While many of the details will be forth coming, our first order of business is to find Team Captains. As Team Captain you will be in charge of the pre-game strategy to ensure victory for your team. We will choose the Team Captains tomorrow night at our meeting and also begin a sign-up sheet for interested participants. We’re hoping to fill our team rosters! We can’t wait to share more details with you at the meeting! Hi Kimberli! Don’t worry – spaces are definitely left. We’re operating under the philosophy of, “The more the merrier!” We will be doing a more detailed post this weekend that lays out the event, and you will hear even more information at the March 20th meeting. So happy you will be able to make the event! I was SO looking forward to learning what this is. I still can’t believe I slept through the meeting. Now I’m wide awake to boot. Details? Are there any spaces left? Thanks!